Winery visits are fun and all, but they tend to follow a predictable routine. Walk around the vines. See the barrels in the cellar. Eat some cheese. Taste some wine. Lots of talking but often in the service of a familiar story. Belden Barns is something else. I’ve been following Belden Barns since first encountering them at Pinot Days in 2014, and I’ve tried to taste their wines whenever I can. The operation, run by husband-wife team Nate and Lauren Belden, is the very definition of a labor of love. Urban dwellers with no formal winemaking experience, Nate drew on his agricultural upbringing and passion for the earth to finally take the plunge into winemaking. From the start the goal has been to create a winery that is a true representation of the land upon which it sits. Perched up on Sonoma Mountain, the Beldens acquired an existing 20-acre operation, ultimately ripping out all but 1.5 acres of it and replanting from scratch. 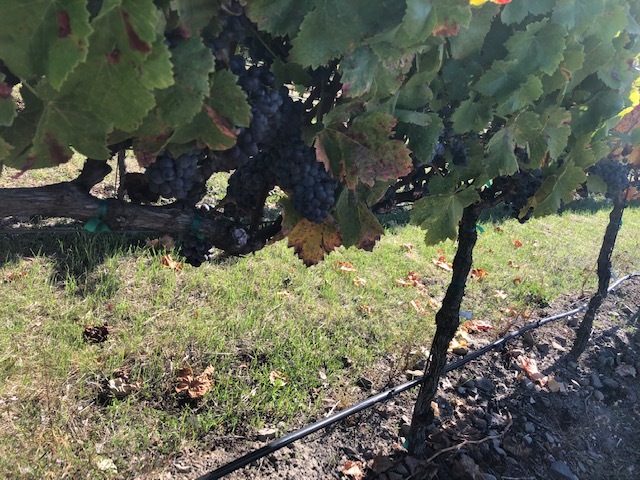 While this is pinot noir country, you’ll find a wide range of grapes growing here, including grenache, syrah, and the only gruner veltliner in Sonoma County. 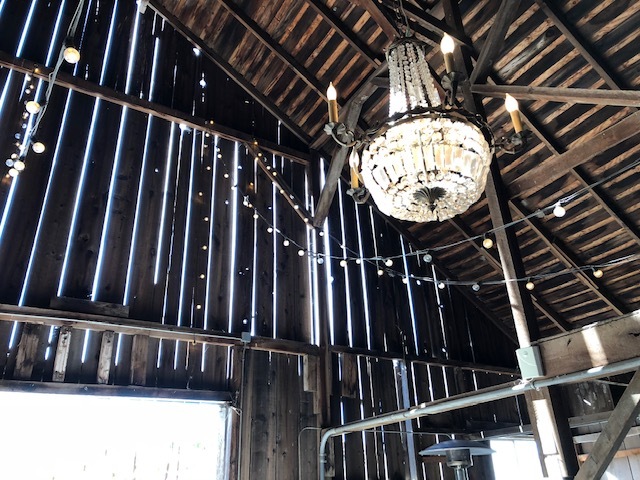 The Beldens invited a group of media guests to tour the property, enjoy lunch catered by Glen Ellen Star, and learn about what makes Belden Barns tick. That includes an onsite vegetable farming operation (complete with a resident farming couple), plans for an onsite dairy, and a regular procession of special events that are built not for wine snobs but for families. If you go (by appointment only), don’t miss the wishing tree, which is said to truly grant said wishes (blank wishing cards are provided by Lauren) if they are tied to one of its limbs. 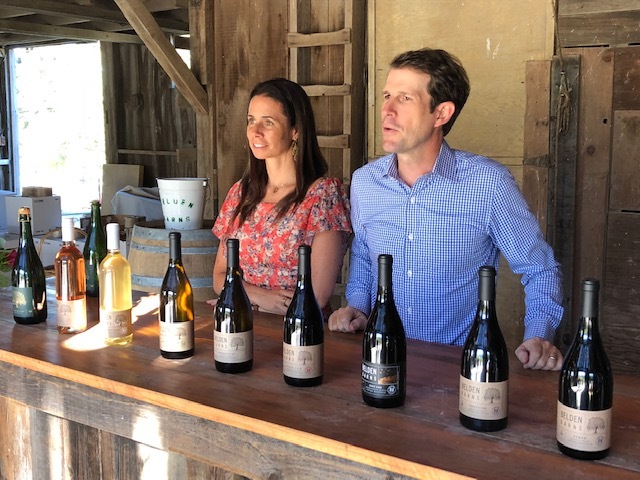 Over the course of an afternoon we tasted a number of Belden Barns’ current releases, all of which are made by Justin Harmon, next door neighbor and also the winemaker at nearby Pfendler. Thoughts on all wines sampled follow.